Weddings specialty at Grand Superior Lodge… romance is always in season here! 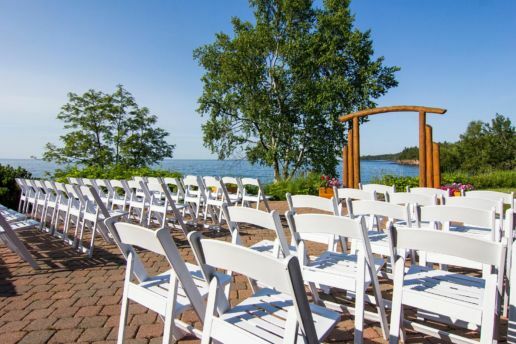 Imagine, saying your vows surrounded by your closest family and friends, with a backdrop of Lake Superior’s magnificent shoreline. 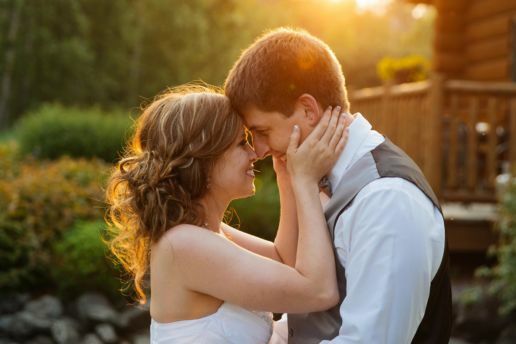 Our lakeside accommodations and many guest activities and amenities provide the couple, their wedding party and families the perfect destination wedding location. And, we’ve hosted hundreds of weddings which gives us the professionalism and experience you’re looking for to ensure that your wedding day wishes come true. Parties of up to 180. On-site services for your ceremony & lodging. Outdoor ceremonies held on the sought-after patio, lake level, with arch. Receptions are set in the newly-renovated lake level banquet area. Plenty of room for groom’s dinner, gift opening, or other gathering needs. Lodging Options for everyone from lodge rooms to 4-Bedroom Homes. On-site banquet food & beverage service from our renowned restaurant. Grand Superior Lodge was everything we wanted and more from a wedding venue! The entire staff was polite, helpful and easy to work with. From the initial inquiry all the way to the bartender hosting us for the evening. All our questions and expectations were met beyond our wishes! We have received dozens of compliments from our guests about it being the perfect wedding venue and a great get-away for their family to enjoy. Grand Superior Lodge was genuinely so gorgeous and the perfect spot for our wedding. Our wedding planner, Kate was outstanding and truly made sure every detail was perfect. We loved her! Hannah was fantastic and checked in with us regularly. I highly recommend this venue! My husband and I recently got married at GSL. The north shore has always been incredibly special to my husband and I and this seemed like the perfect spot. From the very beginning, staff was very helpful and friendly. Even right before the wedding some things started happening and the staff at GSL was flexible and eager to help in any way they could. All we heard from our guests the whole evening was “this was the perfect wedding” and guests couldn’t stop telling us how beautiful the resort was. We worked with Nancy and she was absolutely amazing. My husband is a big craft beer drinker so when it came time to pick kegs she was on top of getting us prices and lists of local craft brews. I cannot thank GSL enough for making our wedding perfect! Wonderful service, wonderful cabin, all our needs were met! It blew our expectations!!! Great place.